Today was another busy day with church followed by Easter celebrations with both families. We had lunch with Ron’s family and watched our nieces and nephews hunt for eggs. Then we had dinner with my family at Applebees. 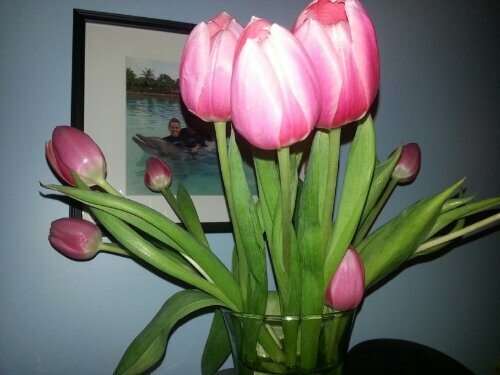 After dinner I picked up a few groceries, including new tulips since my other ones died. 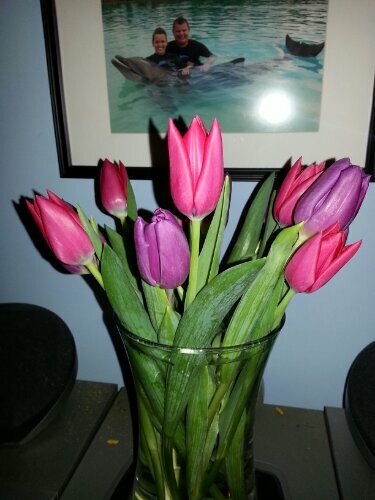 I’m a sucker for tulips and they’re perfect for Easter. Hope everyone had a great day with their families and also took time to remember the real reason for the holiday. Happy Easter! Today was an extremely busy day. Ron and I had errands to run this morning before grabbing a quick lunch and heading to church for the spring fling. The turnout was amazing with way more people than expected, which meant a lot of work. I’ll admit I kind of had a cushy job taking photos, but it was basically three straight hours of walking around shooting. After the spring fling, we stopped by my parents house and then headed to the grocery store and picked up dinner before coming home and dying our eggs. Tomorrow will be just as busy with church and Easter gatherings with both of our families, but I love Easter so I don’t mind. I just wish it were a little more springy outside. 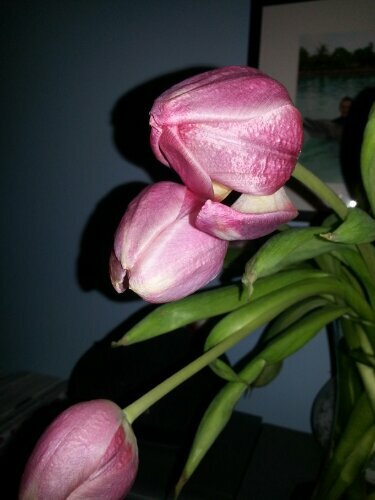 I think my tulips know that it snowed this week. They closed up on Monday and haven’t opened since. It could also be the lack of natural light since we live in a basement apartment and have only a small window. Maybe they can get some sunshine tomorrow and reopen. It may look like winter outside, but inside I’m fully embracing spring. My Easter decorations are up, I have sparkly eggs in my table centerpiece and a vase of pink tulips in the living room. Now if I could just get some warm weather and sunshine that would be great, preferably before Sunday since I bought a new dress for Easter. Seriously, more snow? 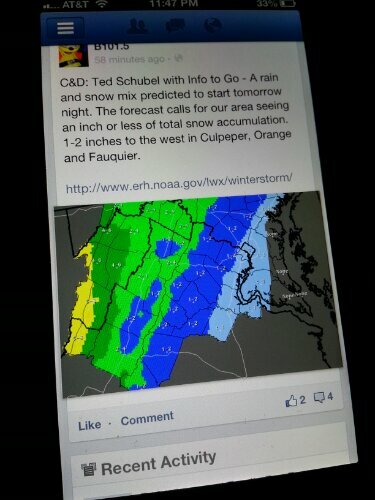 And of course the forecasts are all over the place. This one calls for minimal snow while some are calling for up to 8 inches. And of course this would be forecasted right at the same time that my boss is out of town and I have to get the paper out. Anyone have any sled dogs because I don’t think a snow day is in my future. Isn’t it supposed to be spring anyway? Here’s hoping for only a little snow fall, and wishing and praying. Today was a really beautiful day outside, but I’m a sucker for blue skies and green fields. 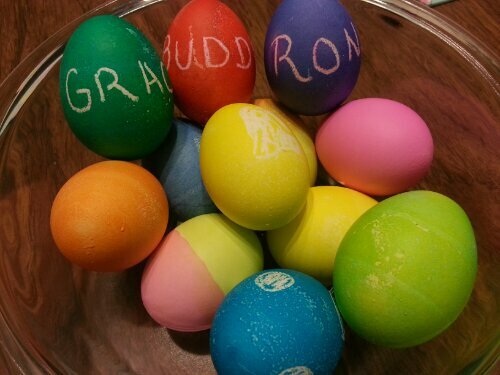 Ron and I dyed eggs tonight for Easter. We had purchased a dyeing kit last year, but never got a chance to use it. So we pulled it out tonight and used it to make out egg creations. I think they turned out pretty well. I know they’re techincally weeds, but I’ve always loved these little purple flowers. They randomly pop in yards in the first few weeks of spring and I think they’re really pretty. They’re the kind of flowers you pick for your mom when you’re little. I like simple flowers more than complex, fancy ones. Yes, it was 80 degrees today. Yes, it is only March. Yes, I love it. And, providing it doesn’t cause any crazy weather I will continue loving it and enjoying my early spring. How could anyone not like bright, sunny days with the birds chirping and flowers starting to bloom? March is here! Today was the perfect start to the month that brings us spring. It was bright, sunny and warm. Plus, it has been staying light longer which is always nice since it really isn’t very fun to get out of work when it’s already dark out. I love spring. I’m so excited that it’s almost here.